3-5 credits, with Professor Fritz Wagner and Dr. Regent Cadana. There is time to make the trip before Summer Quarter begins and include the credits on Summer Quarter tuition. This Canada Field Study course can count for I&S credits. Sign up for the class as either URBDP 498C or URBDP 598C or L ARCH 495A, 3-5 credits. 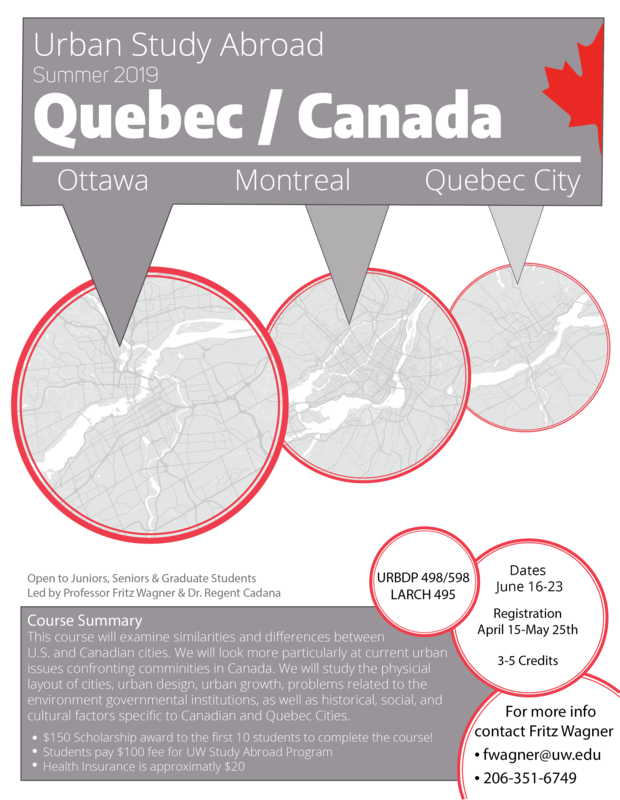 This course can count towards URBDP or UED Minors.